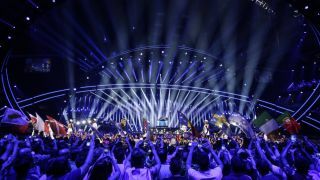 The Eurovision Sony Contest is back for 2019 in its 64th edition of the fabulous competition. This year the event is set to take place at the Tel Aviv Convention Centre in Israel after they won in 2018 with Netta's song "Toy". The singing action will really get going at the two semi-finals due to start on May 14 and 16 before the final on May 18. So far we've got 35 countries eligible for the 2019 Eurovision Song Contest that have confirmed they will be attending. The Eurovision Song Contest semi-finals start in Tel Aviv on May 14. The final itself starts on May 18. Good old aunty Beeb will be broadcasting the entire Eurovision Song Content for free. That means you can watch via the BBC 1 on your TV from 8pm BST but it also means you can enjoy it online via the iPlayer with Graham Norton as your wise-cracking host. Another great way to access the content from any device you need to use is by using TVPlayer.com or - if you'd sooner ditch the commentary - on Eurovision’s official YouTube channel. You can watch the Eurovision final from anywhere in the world using this and a VPN, here's how. Simply open the VPN app, hit 'choose location' and select the appropriate location - it's super easy to do. Choose UK if you want to stream its coverage of Eurovision. This is a great service and, crucially, is a free and legal way to stream live all the Eurovision fun you can handle from Portugal. TVPlayer.com gives you access to tonnes more channels without even having to register your email address. Since Australia's SBS is airing the whole final it should be easy to enjoy it on the big screen. That also means you can get all the fun online using the SBS On Demand service that works on multiple devices – ideal if you're on the go. Just remember to set your alarm if you want to watch all the singers live, as the show begins at 5am AEST. Find out more in our full guide on live streaming Eurovision in Australia. The Eurovision Song Contest will be broadcast by Logo. That means the show will simulcast both on Logo's website as well as via the LogoTv mobile app. These may require a cable password so another option is to use the Logo YouTube channel here. The LOGO broadcast will feature commentary from Michelle Visage of "RuPaul’s Drag Race" and comedian Ross Mathews. In previous years the LGBT friendly broadcaster OUTv broadcast the Eurovision Song Contest but this year it will not. This is because the company says there may not be enough interest in Canada - even Deadpool has weighed in on this once. So if you're in Canada and you are indeed interested, scroll up to see how you can enjoy the contest using a VPN. It means you can watch everything for free from the comfort of your own home or elsewhere on a tablet or phone. New Zealand's usual Eurovision broadcaster, UKTV, will not be airing the event this year. Fear not, you can still watch all the audio action online using a VPN. Check out how easy that is up the page with our handy guide. Where else can I watch Eurovision 2019 using a VPN? A VPN will enable you to watch Eurovision 2019 from literally anywhere. So that obviously includes: China, Russia, India, Thailand, Japan, Brazil, Argentina, Finland, Israel, Canada, Germany, Denmark, India, Netherlands, Spain, Belgium, Romania, Mexico, France, Sweden, Italy, Czech Republic, Ireland, Poland, Kenya, Hungary, South Africa, Indonesia, Nigeria, Bangladesh, Egypt and more!